An interview with pain specialist Paul Christo, MD, MBA. 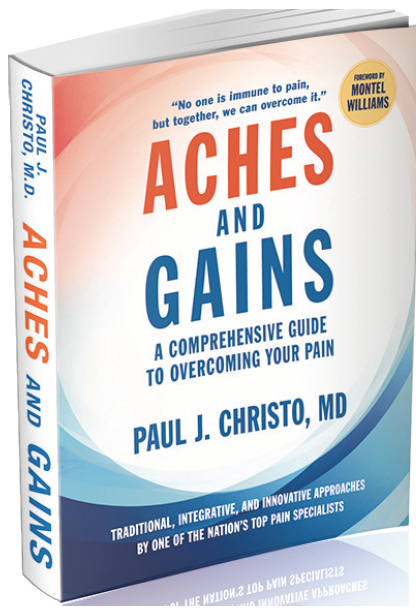 We talked with Dr. Paul Christo, MD, MBA, winner of the 2016 John and Emma Bonica Public Service Award; host of the weekly national XM radio show Aches and Gains, ; and author of the book Aches and Gains: A Comprehensive Guide to Overcoming Your Pain. Dr. Christo is Associate Professor in the Division of Pain Medicine, Department of Anesthesiology, Johns Hopkins University School of Medicine where he served as the Director of the Blaustein Pain Treatment Center from 2003 to 2008 and Director of the Multidisciplinary Pain Fellowship Program from 2003 to 2011. Dr. Christo treats patients with chronic pain. What Do Patients With Chronic Pain Need Other People, Including Their Physicians, to Know? There is a misperception that pain is acute and that it always resolves. The reality is that chronic pain develops from acutely painful conditions (eg, postoperative pain or herpes zoster). If someone has herpes zoster it may transform into postherpetic neuralgia (PHN), and this canprevent people from doing something as simple as wearing a T-shirt. PHN often does not completely resolve, even with treatment. We’ve learned that chronic pain is a disease in and of itself that can change your life. It’s not just a cut on your finger that will go away with time, it is a transformative experience that changes your life in ways you can’t imagine. Although many people can relate to having a chronic illness, they often don’t equate chronic pain with chronic illness. Physicians, caregivers, friends, and family members all need to understand that pain is real, but it can be overcome. That does not mean it will go away entirely, but it does meant hat treatments can improve patients quality of life and make the pain manageable. That understanding is also critical to providing proper care for patients with pain because it builds trust and understanding that improves adherence to treatment and a belief that life can get better. 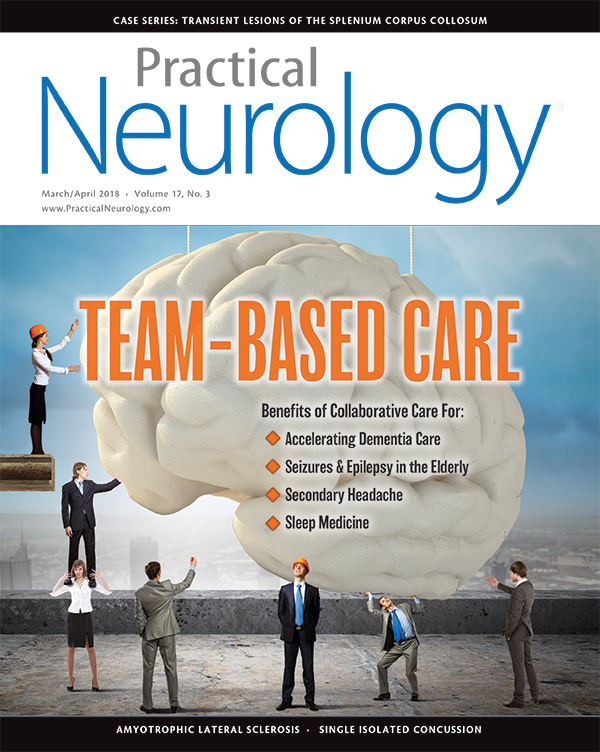 How Do You Think Neurologists Can Best Help Their Patients With Pain? Many neurologists have a good understanding and awareness of pain and the importance of addressing it whether their patients are experiencing acute or chronic pain. As a pain specialist, I feel it is important for my colleagues in neurology to stay informed about the array of treatments available for pain, including pharmacologic, interventional, behavioral, and integrative approaches. A willingness to collaborate with pain medicine specialists, provide basic screening for patient’s with pain, and referring to pain specialists as needed are also helpful. Knowledge is powerful and one of the best things neurologists can do is stay informed of new evidence for existing and developing treatments. As most neurologists are aware, gabapentin and pregabalin are helpful therapies for neuropathic pain and fibromyalgia, for instance. These drugs may also be useful for treating other types of pain. Botulinum toxin is another evolving therapeutic agent to consider as it may be useful not only for treating chronic migraine headache, but also for thoracic outlet syndrome, piriformis syndrome, and other conditions. The selective norepinephrine reuptake inhibitors (SNRIs), and tricyclic antidepressants can also be helpful in treating both neuropathic and nonneuropathic chronic pain. I think it is important for neurologists to be open to interventional therapies and refer them for nonpharmacologic therapies that have a good basis in evidence. These include integrative therapies as well as procedural therapies. For example, pain specialists may consider injection-based therapies (eg, epidural corticosteroids or nerve blocks) and other interventions (eg, radiofrequency denervation for neck or back pain) or neuromodulation techniques (eg, spinl cord or peripheral nerve stimulation for neuropathic pain) as long as there are no contraindications to these from any comorbid conditions. Ensuring a common pool of knowledge for all team members makes it easier to offer the widest range of and safest options for treatment of pain. Integrative, psychiatric, behavioral, and lifestyle treatments may also be of value. These include cognitive-behavioral therapy, biofeedback, acupuncture, massage therapy, exercise programs (eg, yoga or physical therapy), and proper sleep hygiene. Episodic pain often can be well treated with oral or topical (gel) non-steroidal anti-inflammatory drugs (NSAIDs), lidocaine patches, or short-term treatment with selective opioids (eg, tramadol). The last of these can be very valuable for treating acute pain or chronic episodic pain and should not be ruled out altogether, but rather used carefully. Pain may not be first on the list of medical conditions a neurologist asks her or his patients. The importance of any visit is obviously to focus on the neurologic condition that brought the patient in for care. Additionally, the limited time that many physicians have to see patients can make somereluctant to broaden the scope of the discussion. It can feel like opening “Pandora’s box,” especially if pain is the topic. It is frustrating to broach a lengthy discussion about pain when it is not the primary reason for the visit. Pain has significant psychosocial and physical aspects to it that a neurologist may have limited, if any, ability to address during a single visit. However, instead of avoiding the issue altogether, neurologists might consider asking if pain is chronic and how severe it is and offering treatment or referral to a pain medicine specialist. What Safety Protocols, if Any, Should Neurologists Use for Treating Pain? If opioids will be needed for more than 1 month, tools for assessing the risk of abuse should be used. For prescriptions of shorter duration, these are generally not required. Risk assessment tools are available and should include personal or family history of drug or alcohol abuse, biopolar disease, depression, anxiety, or concurrent use of benzodiazepines. For long-term use of opioid medications, risk assessments may be periodically repeated, and it is helpful to have an opioid use agreement in place with the patient. Opioid use agreements in which a patient agrees to drug monitoring by the physician and commits to standard safety practices (eg, pill counts). Urine drug testing is a helpful safety tool. What Policy Issues Regarding Pain Treatment May Affect Neurologists? Treating opioid overdose as a public emergency seems to be reducing the supply of opioids and moving clinicians away from prescribing opioids for chronic pain as a first-line therapy. This is beneficial for those who didn’t need opioids but got them anyway. However, forced opioid weaning for patients who did benefit from them has had negative consequences on their quality of life, and has led to buying opioids on the street or using heroin. Compassion is needed when deciding how or whether to wean patients from opioid treatment. The recent recommendation by the Centers for Medicaid Services (CMS) to limit opioid prescriptions to 3 to 5 days for postoperative pain may increase costs (copays) and time for patients who need opioid therapy beyond 5 days. One pharmacy has also limited new opioid prescriptions to 5 to 7 days. Accordingly, patients may now need more frequent visits to health care providers to obtain prescriptions. Although regulating opioid supply can help improve a major public health threat, overregulation of opioids can also interfere with the relationship and trust between patients and clinicians..
Neurologists should also be aware that CMS has asked for input on whether pregabalin and gabapentin should be considered potentiators for opioid addiction. Reducing the risk of adverse consequences of medication is crucial, but limiting the acceptance and availability of these drugs, which can both be quire effective for the treatment of europathic pain is worrisome. Although gabapentin may have a rare euphoric effect, neither of these drugs carries the same risks as opioids (eg, respiratory depression and death). What motivated you to start the radio show and author your book Aches and Gains? I created the radio show because I felt that the community of people with chronic pain was underrepresented in the media and needed a voice. Beyond that, I felt it was critical to let everybody know about solutions for patients with chronic pain that include traditional treatments, integrative treatments, and innovative therapies. The show and book share real stories of people (everyday people and celebrities) who have overcome their pain which has been a beacon of hope for those who have lost the belief that things can get better. The book is geared for patients in pain, healthcare providers, and those worried about developing pain. It´s been gratifying to hear that many listeners of the show have said that they no longer feel alone and more a part of a community—they can tap into the experience of others to help themselves.